Interestingly, men are actually the biggest secret spenders. They are more likely to lie about their spending and hide items they have purchased from their partners. Interestingly men are actually the biggest secret spenders. They are more likely to lie about their spending and hide items they have purchased from their partners. What is shown in reel life, does not happen in real life. 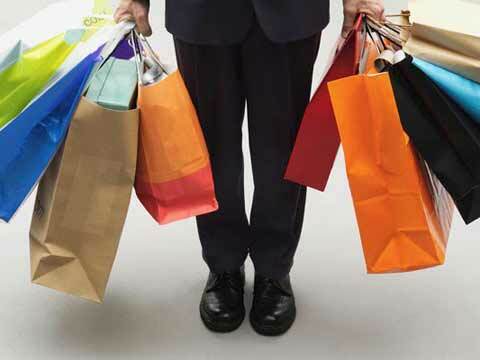 Television shows and films may portray women as shopaholics and big spenders, but men generally spend more per month than women, according to a recent analysis of spending data. Regardless of women’s reputation for being shopaholic, the research by a leading cash back site reveals that almost double the numbers of males are shopping online than women. On an average 60 per cent of the orders placed online in a month are by men. "77 per cent of our user base is male customers. Their average logins are once every week while female customers login twice a week, which means that guys normally come online to shop and girls, just like in offline world, come for window shopping or to check deals" says Aman Jain, Director, Gopaisa.com. The research also reveals that guys are comfortable buying everything from pen drives to mobiles and electronics online, however girls shopping habits are limited to fashion accessories and home decor, in seldom cases. "The favourite shopping categories for men are mobile accessories and daily grooming essentials" Jain adds further.